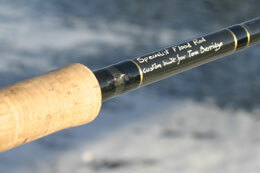 This rod is as specialized as they get, for Big River Floods, and has no test curve figure. 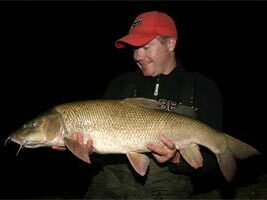 The rod has been further developed and supersedes the original, which itself was an exciting new development in rod technology. 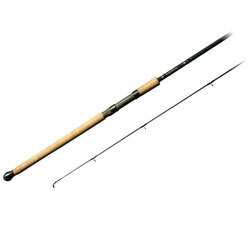 This rod has a soft but very sensitive tip, the thinking behind a softer tip is that it allows debris to build up on the line without the lead being dragged out of position. The rest of the rod has enough power to cast 8 ounces. 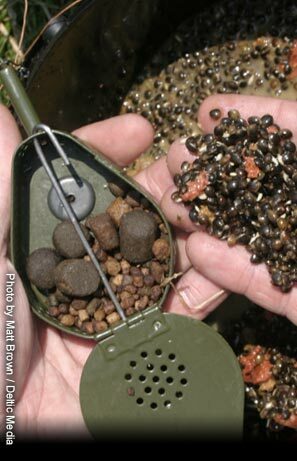 a Peregrine Floodwater Barbel Rod.